This white paper is our explanation of BioSteel’s main components (electrolytes and amino acids) and our logic as to why sugar and carbs are not needed in a sports drink (something fundamentally different than Gatorade, Enervit, Dexal and virtually all other sports drinks on the market). Over the passed 6 years we have received a ton of emails where people question us not using sugar or carbs in our sports drink and question the products ability to provide energy. Firstly, it is important to always preface any conversation with the fact that we do not endorse or promote a low-carb diet. It is important to distinguish that it is not necessarily the sugar that is important for energy, but rather muscle glycogen that actually provides energy. Any time we consume a carbohydrate through a complex source or a simple source (sugar) we convert that carbohydrate and store it in our muscles as glycogen. This glycogen gives our bodies the energy to properly function. This muscle glycogen is stored and utilized at different rates depending on individuals’ metabolism and energy expenditure. We believe sugar is not needed in a sports drink because people already have stored muscle glycogen from their regular diet, which they tap into for energy. Any sugar or carbohydrate that you take in directly during physical activity (like typical sports drinks) would have to be broken down and absorbed first, then stored in the muscle, and the glycogen of that specific consumption would only be utilized if all existing glycogen storage from ones diet were depleted…or it will be stored as fat if it is not used. However, making the assumption that someone has no glycogen stored while exerting energy, BioSteel’s amino acid, which absorb into the body faster than sugar or carbohydrate and can be broken down into glycogen (energy) by the liver through gluconeogenesis. 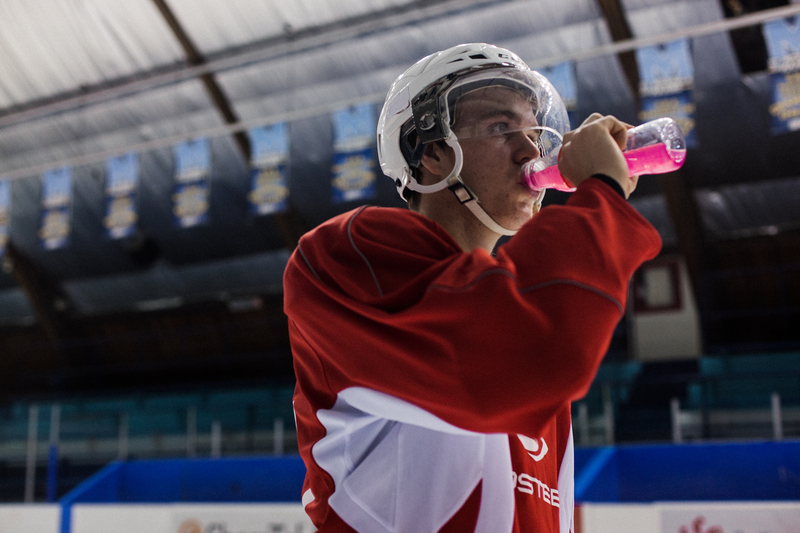 Therefore, BioSteel’s amino acids provide you with the recovery benefits, as well as the ability to provide energy through them being broken down into glycogen if your body has none stored, and we do this without the use of sugar and avoids sugar’s negative effects. In addition to all of this, our premium electrolytes, sourced from sea salt (not table salt) also provides electrolytes that are key for staying hydrated while sweating and ensuring effective and proper muscle function. So essentially our High Performance Sports Drink has the ability to provide electrolytes for hydration but also has the ability to provide the body with energy and recovery benefits from the amino acids without the use of ingesting sugar.